Old Navy is that trusted store where you can go and find clothes that are stylish yet affordable. But what if I were to tell you that it’s possible to save even more shopping there? If you love a good deal, follow these tips and pay even less for those Old Navy dresses and shorts that you’ll be wearing all summer long. There are major perks to shopping Old Navy online. The retailer offers free shipping when you spend $50 or more on the website. You can also take advantage of sales promotions on select items, coupon codes that are periodically offered on the website’s homepage, and Old Navy Super Cash rewards. Take a look at all of Old Navy's coupon and promotional offers now and check back daily for new code offers! You know yourself when it comes to credit cards. An Old Navy credit card offers a lot of benefits, but it’s not worth it if you can’t pay off the balance every month with an 25.24% APR. Your Super Cash earnings can also be used to buy sale and clearance items and must be redeemed between a specified date range. By liking Old Navy on Facebook, you’ll stay up-to-date on the latest sales and deals as they are announced. They often post printable coupons that can be used toward your next purchase. Check the bottom of your receipt for the satisfaction survey. Participate in the online survey and you’ll receive a coupon for a high-value deal on your next purchase. Quick and easy, the surveys are totally worth the money-saving benefits you’ll earn in exchange for just few moments of your time. The thought of another promotional email filling your inbox might be off putting. But my just signing up for Old Navy's email list, you'll immediately receive a code for 30% off your next purchase. Old Navy email notifications will also keep you in the know of special deals and more ways to save. The savings to be made on paying attention to Old Navy’s promotional items are huge. You’ll get your hands on the season’s hottest items at a fraction of the regular price. For example, the Memorial Day Sale offers all tanks, tees, shorts, and swimwear at 50% off! Let summer begin! Ever feel like the coupons are coming in faster than you can use them? All is not lost. You can still put them to major savvy shopping use. The store let’s you use up to four coupons per order at Old Navy. Just sit back, click, and watch your savings stack up! Shop the Everyday Steals for basic wardrobe items that Old Navy offers at everyday low prices. Score a Men’s Soft-Washed Crew-Neck Tee for just $9.94 or Women’s V-Neck Cami for just $4.50! With deals like this, you’ll have no problem stocking up on the essentials in all colors and styles. Head to the clearance section for the biggest markdowns. Be forewarned that if you are shopping in the store, this section has a little bit of everything and everything is all over the place. So come armed with patience and a sharp eye for deal hunting. Check out the clearance section on Old Navy’s website and score on lust pieces like that denim boyfriend truck jacket for only $19.97. Save even more with coupons, which can be applied to most clearance items. 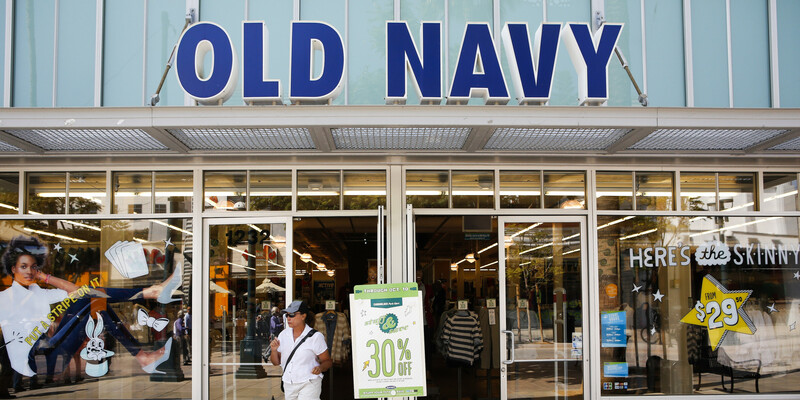 Every smart shopper knows that Old Navy is where you’ll find reasonably priced clothes. But not every smart shopper knows that extra measures can be taken to ensure you are getting the most for your hard-earned dollar. Keep these tips in mind and you’ll have a full closet and even fuller wallet.